Current selected tag: 'eye drawing reference'. Clear. This reference guide is a useful tool for any cartoon artist who wants to understand how to draw stylized eyes on their cartoon characters. A lot of useful tips here. This drawing reference guide is for any artist looking for a comprehensive guide about the human eye. Not only will it give your portraits more realism, but it will also help you understand how to convey emotion through the eyes. 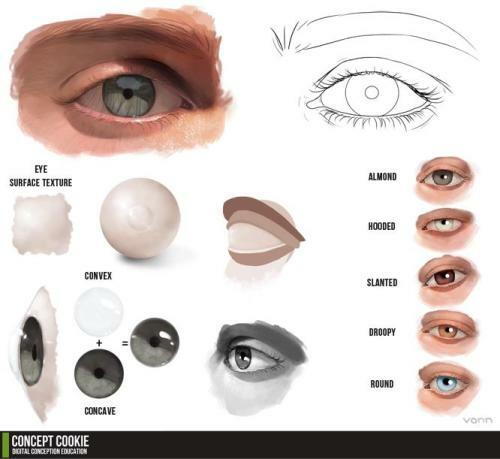 This drawing reference guide provides an inside look at the process of drawing a photorealistic eye using Photoshop CS3 and a drawing tablet. If you want to take your digital drawing skills to the next level, this is a tutorial you need to try out. Eyes not only allow us to see the world around us but also express our emotions in many ways. This reference guide contains a few expressive eye shapes you can use to add emotion to your portraits. This drawing reference guide will help you draw convincing anime eyes using a few useful tips. 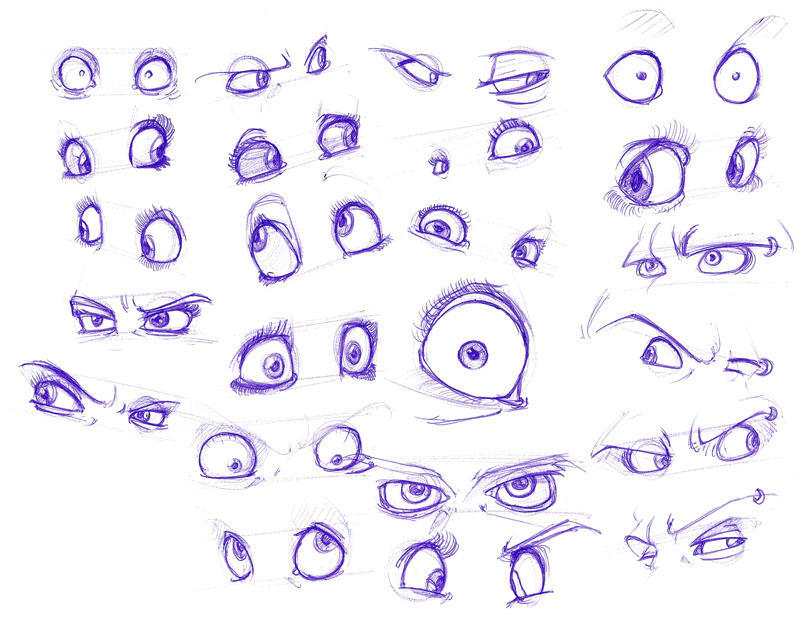 By learning how to draw the eyes, you'll be able to add character to your anime characters and give them a sense of dynamism. Just a study of eyes and noses. I'm trying out my realism, you know. Slow transition. There are a few I really like. One of those noses is mine, too. ;3 © me. This reference guide will help you understand the shape and structure of the human nose and eyes. The guide contains a variety of noses and eyes to use you can use as reference for your future drawings. Check it out. This eye drawing reference guide is an easy way to learn how to draw semi-realistic manga eyes. It starts off with a guideline drawing, then moves on to the general sketching, and finally ends with coloring in the eyes. This tutorial will take you less than 10 minutes to complete even if you've never drawn manga eyes before. You can tell a lot about a person just by looking at their eyes. This eye reference guide will give you some useful tips about how to draw different eye shapes while giving them a set of expressive emotions. If you're a cartoon artist, you need to check out this tutorial about using eyes to convey emotion. You can also apply these simple techniques to your portrait drawings. This simple reference guide explains the shapes and anatomy of different eye types. You can also use this guide to learn about the shading and lighting used when drawing different eye colors. This drawing reference guide is great for practicing your eye drawings and improving your shading skill. It contains several realistic eye drawings that will help improve the realism of your portrait drawings. 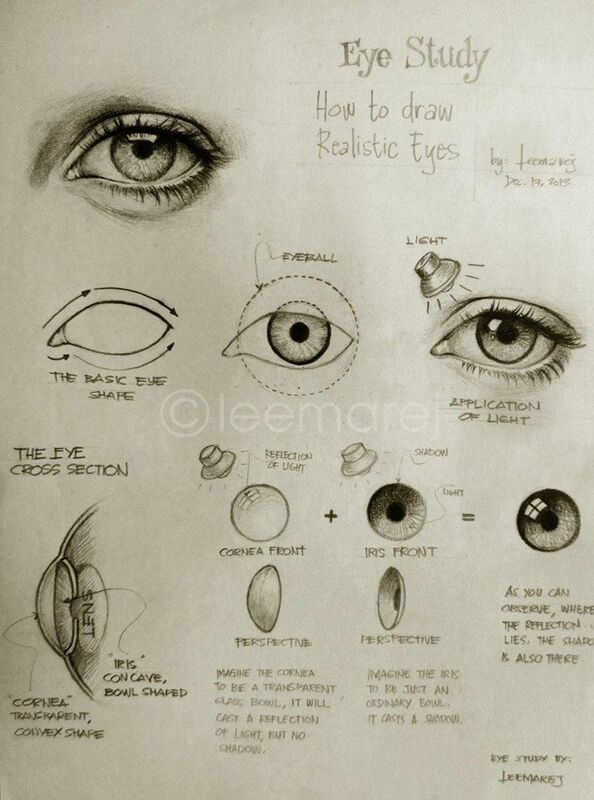 This drawing tutorial contains useful tips and information about drawing the human eye. If you're a graphic designer or anime artist, this is a must-have reference guide for your projects. This easy to follow guide walks you through the process of drawing a pair of beautiful brown eyes. You can use this guide to improve your the detail on your cartoon drawings or portrait drawings that you're working on. A set of expressive eyes for use in cartoon drawings or digital art. This is a great way to learn about adding emotion to characters using the eyes. This reference guide will show you how to draw an eye from sketch to final shading. If you want a quick exercise to improve your pencil drawing skills and detail drawing, this reference guide will definitely help you do that. A useful reference guide for any artist who wants to learn about the basics of drawing eyes on Asian and Caucasian subjects. Of course, you can apply these techniques to any of your projects requiring detailed eye drawing. This reference tool made by DeviantArt's OryxPixie shows how to acheive the right effects for different kinds of eyes. If you're having trouble distinguishing between Asian and Caucasian eyes, this one's for you!